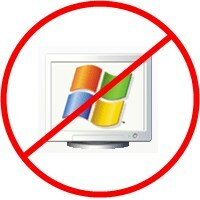 Are you having “Separation Anxiety” over the “loss” of your dearly departed windows XP? We may be able to help get you through these hard times. For example: I recently spoke to a gentleman who supports some out of production products. One of the Software Applications that we both use was designed to run on Windows XP and wouldn’t you know, he was flabbergasted to hear that I have been running it on Windows 7 X64 (I never ran it on anything else). Apparently, he and all of the other users he knows have not been able to run it on anything but XP. He was even more astounded to hear it’s running on a Macbook Pro with Windows running in Bootcamp. While we have encountered a few Windows XP native (or older) Applications that fail to run on Windows 7 or Windows 8.1, it’s typically a failure of some antiquated authentication mechanism and not the application that causes those few problem cases. Most of the time, finding the correct compatibility settings and support libraries is all it takes.